E-commerce is a business that has seen a huge expansion in the past couple of years. Many people have entered the business and have been able to succeed. It is not just the big players that make money. There are many small niche e-commerce businesses that are doing very well. Convenience and supply of good products it the key to success. As a business that uses new technology, you can expect e-commerce to adopt newer technologies. Blockchain and decentralized apps are still just catching up. But e-commerce business has already started looking at ways to benefit from them. In this article, we see how blockchain technology and dApps can benefit e-commerce. By now everyone knows what a blockchain is. It is a chain of blocks which have data in them. It is an open network where people can add transactions which are called blocks. These blocks have data on them. The data can be added only when the other members of the group give consent. Data which is input once cannot be modified. The main advantage of blockchains is that there is no central authority regulating it. As the data cannot be edited there is a strong trust in the data. The members can believe that the data thus entered is still valid. As there is no central authority transactions are fast. There is a high amount of safety for the data in a blockchain. The data is distributed among the members of the group. There is no central data storage which a hacker can attack. This makes it very useful for many kinds of business having a lot of personal details. 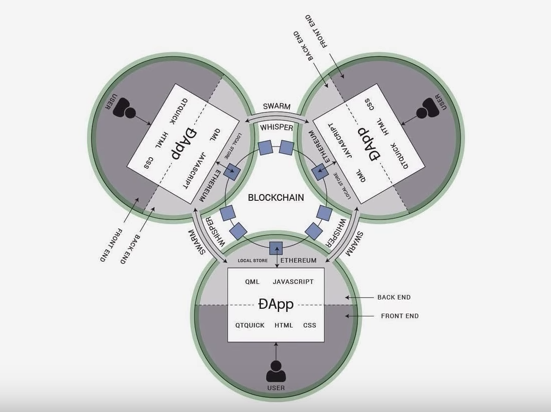 dApps are decentralized applications which are built on blockchains. These apps don’t have a central point of control. These apps have their data placed on the public blockchain. This avoids the need for a centralized authority. The dApp must be open-source. Any change must be made only with the consent of all users of the app. The app must function with cryptographic tokens. These can be used for accessing the application and rewarding the users. The final condition states that the cryptographic tokens must be issued using usual blockchain algorithms. These must be issued as proof of value to the users of the app for contributing to the app. Decentralized applications have many advantages that can prove very useful in e-commerce. A good mobile app development company should look at ways to make use of the circumstances and try to cash in on the opportunities available. Blockchains help transactions without the control of a centralized authority. Data is spread across the servers of the users. Blockchain data can be entered only when everyone agrees. The data once entered cannot be modified. This gives a high amount of credibility to the data. There is no central data storage. Hackers cannot target the data. dApp of decentralized applications are open-source apps. There is no centralized authority for dApps. Data is placed on a public blockchain. Cryptographic tokens are used for data access and rewards. The tokens are issued as proof of value to the users. This article is meant to see how dApps and blockchain can be used in e-commerce to solve the various problems it faces. There is enough information in the article for anyone involved in app development. Secure payments and huge fees are a problem in e-commerce. Whatever form of payment you use to pay for your purchase there is always a chance of fraud. None of the payment methods are completely safe despite the different measures that are taken. Moreover, there is always a fee for the use of cards. By accepting cryptocurrencies e-commerce businesses can make payments safe. These currencies operate on blockchains. This means there is no central authority to collect a fee from us. cryptocurrency payments are safe from theft. There is no way anyone can enter the chain without other users knowing about it. Another advantage us using dApps for e-commerce is that there are more people wanting to use cryptocurrencies for payment. You will be able to attract these people to your e-commerce business. If you are a small e-commerce business selling niche products, attracting such people will give a big boost to your business. Chargebacks were introduced to protect card users against being charged for services they didn’t receive. This was a better way for customers to get the money back when the company doesn’t oblige or when the transaction was not made by them. But this facility is paving the way for huge fraud activity. There are many people who claim a chargeback from the card company even after receiving the goods or services. E-commerce companies have hardly any way to fight back. You will be left with no payment even after you have sent the goods to the customers. There are hackers too who are misusing this facility. Introducing payment by cryptocurrencies can protect you against such fraud practices. Once the payment is made there is no way to reverse it. You can always refund a customer through the same route by sending fresh payment. This can be done if the claim is genuine. This method will reduce a lot of fraud claims. One of the ways that e-commerce companies use to make customers’ experience more personal is by analyzing purchase habits. This lets you know how a particular customer makes his purchases. You use analytics to find this out. This is the only way you can keep ahead in a competitive market. But this method robs the customers of their right on the data. Mobile app developers can build the e-commerce platform on the blockchain. Here, the customer data is not open to the e-retailer. This gives the customers the power over their data. They can sell it to interested parties if they wish to. The e-commerce companies can offer rewards for getting the data from the customers. This can be a method for customers to monetize their data. Companies also benefit by making the collection of data more transparent. The amount of money being transferred by companies to their B2B e-commerce suppliers is huge. A lot of money is sent across the border. Financial institutions make use of the volume of cash to earn handsomely by way of transaction fees. This makes the transactions very expensive for small and medium companies. It is estimated that a single cross-border payment of $200 attracts $14 as fees. The total amount thus earned by the institutions in 2017 was $30 billion. Small and medium businesses send around $13,000 a month as cross-border transfers. This would mean that the companies will be spending around $2,700 as fees. Companies are looking at using blockchain payments for B2B commerce. This will make the system safer and much less expensive. There will be a record of the payment and there won’t be any fees. Small and medium companies will greatly benefit from this. Sweetbridge is already offering blockchain powered solutions. When customers pay you by card, they only look at the ease of using cards. Only the e-commerce business owner knows what a lengthy process it is. Moreover, there is a heavy fee to be paid to the company which gives the card payment to the merchant. This is why most merchants have kept a minimum amount for card payment. Using blockchain to pay the merchants can reduce the fee. If the payment is requested and made using blockchain, then the fee can be avoided fully. The blockchain can be programmed to accept or reject payments using certain conditions. Such algorithmic processes are safe and fool-proof. If such a dApp can allow the realization of card payments through blockchain, then the process will be much faster. There is no need for the bank to check each request and make the payment. This will be a great saving for the e-commerce merchant. Safety is a concern in cross-border trade. There can be people trying to steal your money. The other concerns are high fees and an unstable exchange rate. These are problems which cross-border traders regularly face. Any technology that can tackle these problems will be always welcome. Cryptocurrencies can help in this matter. These are dApps which can be used for financial transactions. Using these currencies will assure you protection from fraud. Nobody can enter or change data without the knowledge and consent of other members. Cryptocurrencies also insulate you from changing exchange rates. There is no change in the value of cryptocurrencies. When you operate in a blockchain there is no controlling authority. This means that you don’t pay any fee for the transaction. Small and medium companies will benefit very well from this system. E-commerce platforms greatly help many companies to sell their products online. These marketplaces have also helped to avoid a lot of intermediaries. They have helped bring the customers and the suppliers closer. However, even these marketplaces charge a good commission on products sold by the e-commerce platform. The retailers can develop a dApp to form a marketplace which doesn’t have any centralized control. This will save a lot of money. The data will be safe. Such a marketplace will allow direct commerce between the seller and the buyer. There are many payment apps which allow us to instantly send money to our friends. Whether it is paying your share for the dinner or repaying debt, it has been very easy with these apps. These peer-to-peer payment methods are very popular. This has made many financial institutions rope in the service of top mobile application development companies in India to develop such apps. Most of the big banks in the US now back such services. These apps are popular due to the ease of sending money. The time taken is hardly a few minutes. But there is hardly any payment method to send money to people across the border. PayPal does offer you such services. But they charge a steep commission on the service. This creates the need for such a service where people can do cross-border P2P money transfers. The blockchain is a system that is not affected by physical borders. Cryptocurrencies are being exchanged internationally. Commercial organizations can create a dApp which will help in cross-border e-commerce transactions. Using blockchain technology in e-commerce has another advantage. When an order is placed by a customer, every step creates a block in the chain. Each of these has proof of work. This means that there is a chain of blocks that can be verified by any member of the chain. Customers can exactly note the chain of events once the order has been placed. This will inform the customers of the time of each action. As everything is out in the open there are fewer chances of any disputes between the e-commerce retailer and the customers. Smart contracts can play an important role in e-commerce. These are agreements which are created on blockchains. The execution takes place automatically as soon as the conditions are fulfilled. These kinds of contracts can be used between the customer and e-commerce, and between the e-commerce and their suppliers. The payment would be helpful in the smart contract. The seller will have to enter the proof of shipping to the contract. Only then the payment will be released. This assures the buyers that the goods will surely reach them. 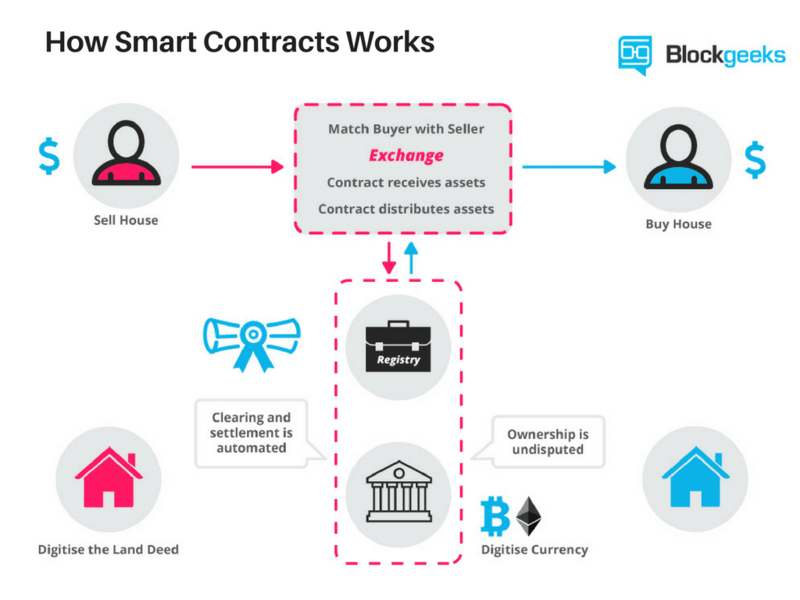 There are many places a smart contract can be used. It can be used in managing supply chains, company accounts, etc. There are many platforms available for the top iOS development companies in India to create smart contracts. dApps in e-commerce business assure safe payments with no fear of fraud. Decentralized apps won’t attract any transaction fees as there are no controlling authorities. The business can attract more people who would like to pay with cryptocurrencies. dApps will prevent chargeback fraud. There is no way to reverse payment in a blockchain system. E-Commerce based on blockchain can’t collect buyers’ data. This gives power to the customers to sell their data or keep it with them. Cross-border B2B payments become cheaper as there is no agency to collect transaction fees. E-commerce companies can get their payments from credit card companies faster and without paying any fee. Cross-border trade is safer and cheaper with cryptocurrencies. There are no exchange rate fluctuations or third-party fees. An e-commerce platform on blockchain doesn’t require anyone to control it. There is no need for sellers to pay any fee or commission. International peer-to-peer payment is cheaper with cryptocurrencies. No disputes between seller and buyer as every step is recorded in the chain. Smart contracts help in having safer and faster transactions. Prolific use of dApps in e-commerce cannot be expected immediately. But the movement has already started in that direction. More companies are thinking about building an e-commerce business on the blockchain. There are multiple advantages that support the idea. It is not difficult for any mobile application development company to create a dApp on blockchains. Cryptocurrency companies like Ethereum already have the platform for creating smart contracts. It is not too far away when we will see e-commerce companies built fully on blockchains. How is Blockchain Transforming the Industries? Piyali, an M.Tech in CSE, has experience ranging from an assistant professor to creative writing in the local newspapers, she has stepped fully into the domain of mobile application development. Her writing can be said to be a combo of crazy thought process, efficacious vocab & sublime modus operandi which is required in any eSpark[email protected] Mobile App Development Company where you can Hire Mobile App Developer. In an app-centric world, having a hot app-o-lava in her mind, she loves sharing her diegesis.